These fully pneumatic or electrically driven vacuum cleaners are characterized by a solid construction and finishing, simplicity and high operating reliability. 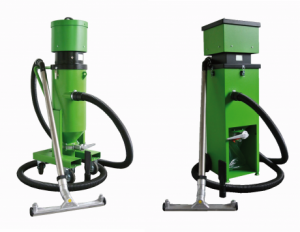 They can be used for cleaning (heavy) soiled floors, workplaces and machines. In addition, they can also be used for vacuuming of abrasive, granulates and coarse dirt parts. Click here to see video on YouTube.